The Lions signed linebacker Kelvin Sheppard, according to a team announcement. Sheppard will fill the roster spot left vacant by Tuesday’s Golden Tate trade. Sheppard worked out for the Lions earlier this week – his first audition since meeting with Detroit in late July. The 30-year-old linebacker was a three-year starter with the Giants from 2015-17 but has been a free agent all offseason. He’s just the latest ex-Giants front seven member to join the Lions and he’ll reunite with former teammates Damon Harrison and Devon Kennard in Detroit. Sheppard played with the Bills, Colts, Dolphins, and Giants over the course of his seven-year career. He notched a 102-tackle season with the Giants in 2015 and intercepted two passes — the first two of his career — despite being a midseason Big Blue addition last year. The Lions are checking in on Kelvin Sheppard. Again. The free agent linebacker visited the Lions in July but is back again for another meeting, Adam Schefter of ESPN.com reports (on Twitter). Sheppard is not believed to have participated in a workout or a visit since the late-July meeting in Detroit. It’s not certain if the Lions were again working out Sheppard, as they did over the summer, or if this was a follow-up visit. The Lions have been the only team connected to Sheppard this offseason. The 30-year-old linebacker was a three-year starter with the Giants from 2015-17 but has been a free agent all offseason. Detroit signed former Sheppard teammate Devon Kennard to a high-end deal earlier this offseason. Jarrad Davis played through a calf injury on Sunday after being limited during Week 8 practices. Sheppard’s played with the Bills, Colts, Dolphins and Giants in a seven-year career. He notched a 102-tackle season with the Giants in 2015 and intercepted two passes — the first two of his career — despite being a midseason Big Blue addition last year. Former Bills, Dolphins, and Giants linebacker Kelvin Sheppard is working out for the Lions today, reports Adam Schefter of ESPN (Twitter link). Sheppard, 30, has made quite a few stops in his NFL career. Originially drafted in the third round by the Bills back in 2011. After a couple years there he was traded to the Colts, but released after just a season. He then signed in Miami for the next two years, and started 13 games for the Dolphins in 2015. He was a starter in 2016 with the Giants, then signed with the Bears the following offseason. He was cut before the regular season started and ended up re-signing with the Giants mid-season. A true journeyman, Sheppard will be looking to latch on with his sixth team in just eight seasons. It’s been a quiet market so far for Sheppard, who’s drawn little known interest. Lions coach Matt Patricia should have some familiarity with Sheppard, having coached in the same division as him during his time with the Patriots while Sheppard was playing for the Bills and Dolphins. Sheppard received poor marks from Pro Football Focus in 2017, earning a low 46.5 grade, 59th among linebackers. The Giants have signed free agent linebacker Kelvin Sheppard, the club announced today. Sheppard, of course, is no stranger in New York, as he appeared in 16 games (11 starts) as the Giants’ middle linebacker in 2016. In those contests, the 29-year-old Sheppard managed 47 tackles and two passes defensed while earning poor overall marks (grade of 39.1 on a 100-point scale) from Pro Football Focus. The Giants, though, need linebackers — both B.J. Goodson and Jonathan Casillas missed Sunday’s game against the Rams with injury, while fellow ‘backer Calvin Munson is also dealing with a nagging health question. With a record of 1-7, New York isn’t going anywhere in 2017, but Sheppard will give the club experience and familiarity as it closes out the season. Kelvin Sheppard will be cut by the Bears, Brad Biggs of the Chicago Tribune tweets. By shedding Sheppard, the Bears are inching closer to the 53-man max. Sheppard made 30 appearances with Miami in 2014 and 2015, including 15 starts. Last year, the 29-year-old appeared in each of the Giants’ games and made eleven starts, but he finished with just 47 tackles, failed to force any turnovers, and earned a poor grade (39.1) from Pro Football Focus. He was thought to have a decent chance of sticking as veteran LB depth, but it was not meant to be. The Bears and the league’s 31 other teams have until Saturday afternoon to reach the 53-man mandate. The Bears announced that they have signed linebacker Kelvin Sheppard. To make room, rookie linebacker Hendrick Ekpe has been waived. Sheppard recently auditioned for the Dolphins alongside fellow linebacker Rey Maualuga, but both players left Miami without a contract. The 29-year-old was with the Dolphins in 2014 and 2015 before moving to the Giants in 2016. With Miami, Sheppard made 30 appearances with the club and started 15 times in two seasons. 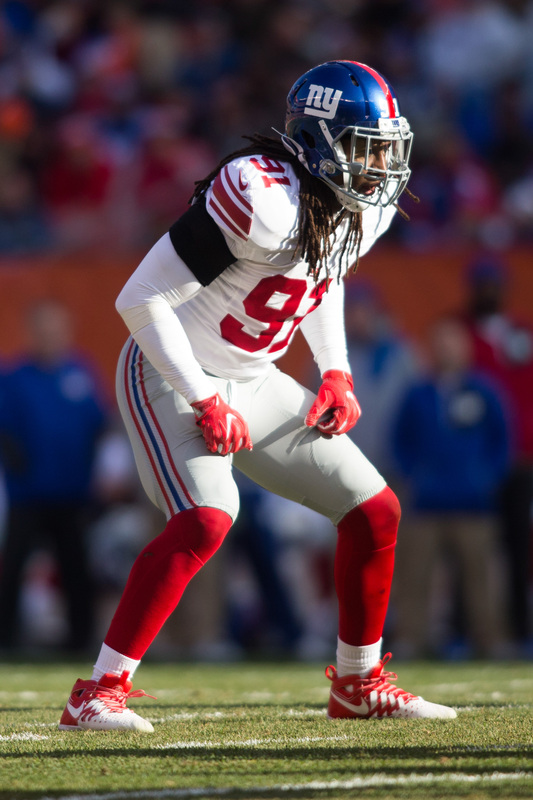 Last year, the 29-year-old appeared in each of the Giants’ games last season and made 11 starts, but he finished with just 47 tackles, failed to force any turnovers and earned a poor grade (39.1) from Pro Football Focus. Sheppard may not be able to reprise the career-high 102 tackles he had in 2015, but he could still be a quality depth option for Chicago to evaluate. The Bears project to start Danny Trevathan and Jerrell Freeman at the inside linebacker spots, though Trevathan is questionable for Week 1 with a knee issue (same goes for reserve outside linebacker Pernell McPhee). Before the addition of Sheppard, 2016 fourth-round pick Nick Kwiatkoski and former UDFAs Christian Jones and John Timu were the team’s top reserve ILBs. 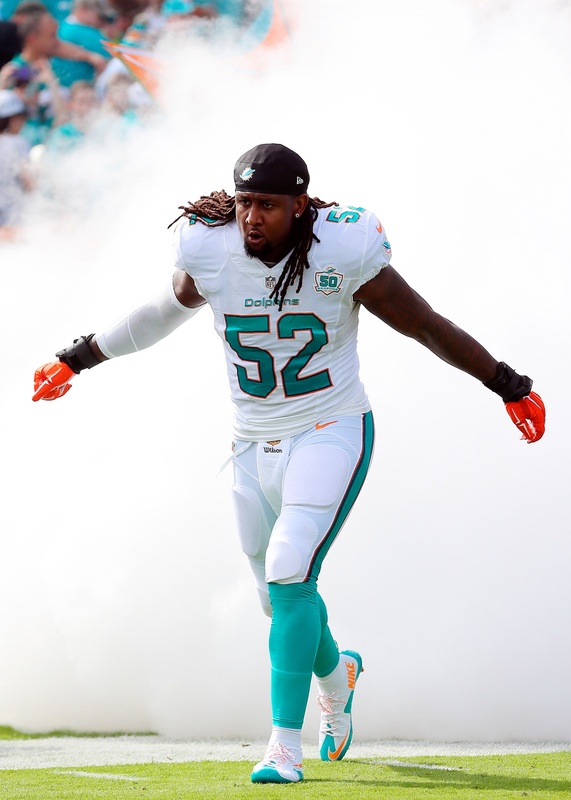 Along with the previously reported Rey Maualuga, the linebacker-needy Dolphins worked out free agent Kelvin Sheppard on Wednesday, according to Barry Jackson of the Miami Herald (on Twitter). Miami didn’t sign either player and “will keep monitoring options,” writes Jackson, who adds that the team hasn’t ruled out picking up Maualuga. Whether it will continue considering Sheppard is unclear. Had the Dolphins inked Sheppard to a deal Wednesday, he’d have been in line for his second stint with the team. Sheppard was a member of the Dolphins from 2014-15, when he made 30 appearances with the club and started 15 times. Nearly all of those starting appearances (14) occurred in 2015, a season in which Sheppard amassed a career-high 102 tackles. The former LSU Tiger wasn’t much of a difference-maker in Miami, though, and also wasn’t a high-impact defender in stints with the Bills (2011-12), Colts (2013) and Giants (2016). Sheppard, 29, appeared in each of the Giants’ games last season and made 11 starts, but he finished with just 47 tackles, failed to force any turnovers and earned a poor grade (39.1) from Pro Football Focus. He hadn’t generated any known interest in free agency until his workout with the Dolphins. Miami’s decision to bring in Maualuga and Sheppard came as a reaction to the ACL tear that ended second-round rookie linebacker Raekwon McMillan‘s season last week. The Dolphins will also go without Koa Misi, whom they placed on injured reserve in June as a result of the spinal fusion surgery he underwent last year, further weakening their depth at linebacker. The NFL is reportedly wrapping up its investigation into Cowboys running back Ezekiel Elliott, but franchise owner Jerry Jones stood behind Elliott when addressing the media earlier today, according to Todd Archer of ESPN.com. “I have reviewed everything and there is absolutely nothing – not one thing – that had anything to do with domestic violence,” Jones said. Last week, Adam Schefter of ESPN.com reported a “growing sense” that Elliott will face a league-imposed suspension. Elliott was never arrested or charged in the incident, but his accuser addressed her allegations in a statement today. Echoing statements he made earlier this year, Cowboys executive VP Stephen Jones reiterated his club’s desire to reach an extension with right guard Zack Martin, tweets Jon Machota of the Dallas Morning News. “We’d love to get Zack Martin‘s [deal] done,” said Jones. “He’s an important part of our future…confident we’ll get something worked out.” The Cowboys plan to meet with Martin’s agent during training camp, per Brandon George of the Dallas Morning News (Twitter link). Dallas, which has already hammered out deals with left tackle Tyron Smith and center Travis Frederick, controls Martin through 2018 via the fifth-year option. Martin, a 2016 All Pro, ranked as the second-best guard in the league a season ago, per Pro Football Focus. With B.J. Goodson entrenched as the club’s starting middle linebacker, the Giants are unlikely to re-sign Kelvin Sheppard, reports Jordan Raanan of ESPN.com. Sheppard, 29, started 11 games for New York last season, but was essentially a two-down player, as he saw action on only 40% of the team’s defensive snaps. Goodson, Jonathan Casillas, and Devon Kennard figure to serve as Big Blue’s starting ‘backers, with Kenan Robinson and J.T. Thomas serving as relatively high-priced reserves. The Giants aren’t expected to reach an extension with guard Justin Pugh, as the fifth-year pro seemingly wants to reach the free agent market in 2018, as James Kratch of NJ.com writes. The upper echelon of the guard market has now hit the $12MM mark, and it’s possible Pugh could hit that barrier with another solid season. Pugh, a 55-game starter during his career, will earn $8.821MM next year, and Kratch believes the franchise tag (with a cost near $15MM) could be in play for 2018. Free agent addition Brian Quick isn’t likely to act as one of the Redskins‘ top four wideouts next season, meaning his roster spot could be in danger, details John Keim of ESPN.com. If Quick isn’t a contributor on offense, he’d need to be a factor on special teams, something he hasn’t been throughout his career. Washington inked Quick on a minimum salary benefit contract that contained just $80K in guarantees, so cutting him wouldn’t represent much of a fiscal loss.